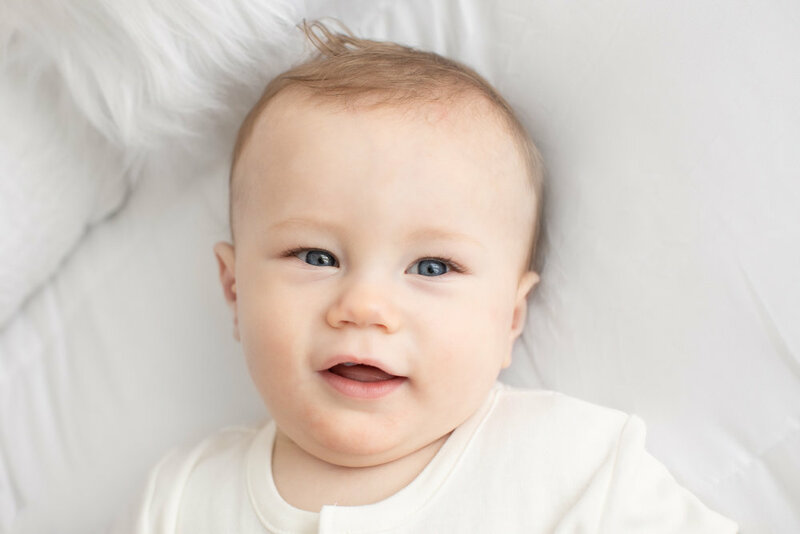 I’m extremely excited to offer new Simply Baby Sessions in my natural light studio in Manhattan. 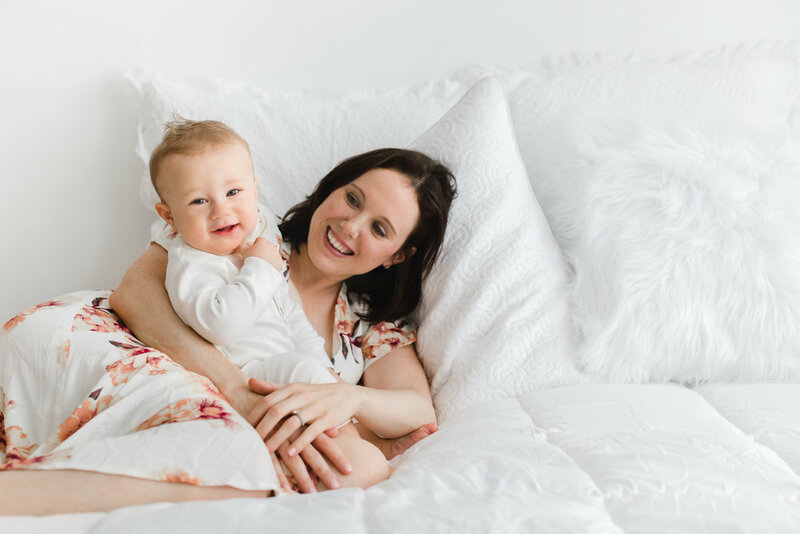 These mommy-and-me sessions are perfect for documenting your baby’s milestones, celebrating your breastfeeding journey, or simply documenting precious everyday moments with your sweet baby! I schedule Simply Baby Sessions in my studio on weekdays for babies from three months old to 13 months old. 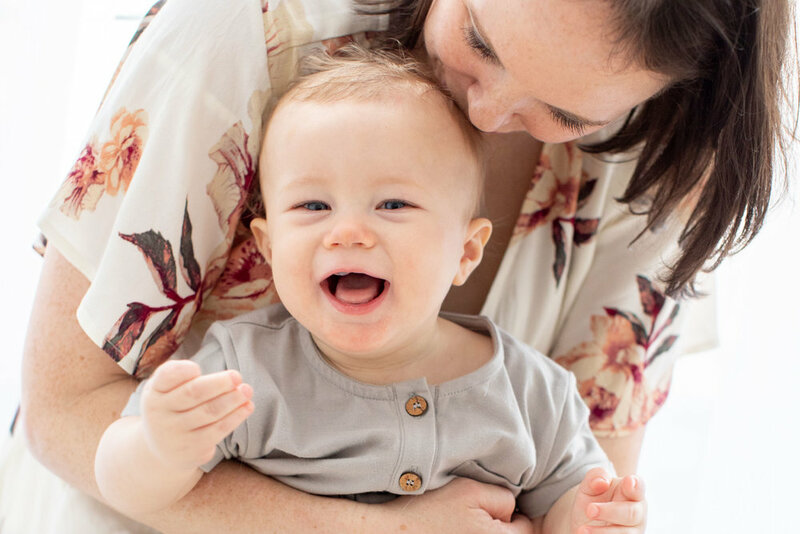 This Simply Baby Session with Lisa and baby Lucas was so much fun! Lisa scheduled this sitter milestone mommy-and-me session, and nine-month-old Lucas was oh-so-cooperative! He was so cute sitting up alone, and in mama’s arms he was so cuddly and fun. 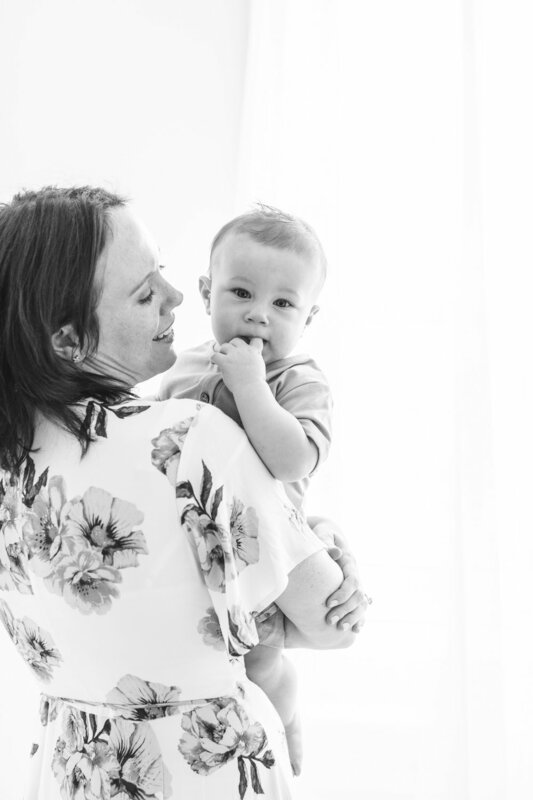 I love capturing these candid, happy moments between a mama and her son, and I think it’s pretty safe to say that we were able to capture several of these special moments. 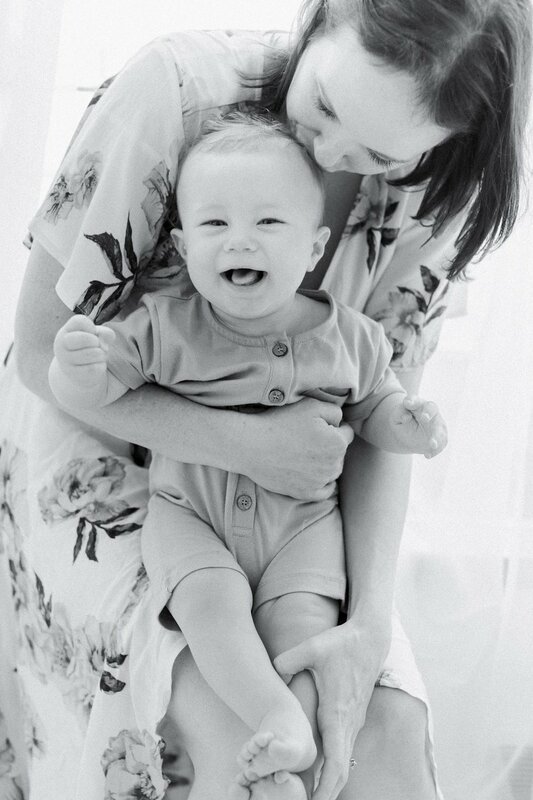 Lisa’s gorgeous smile shines and the love she feels for her baby can be seen in every photo. And Lucas’ sweet smile when she’s holding him in her arms is almost as contagious as his adorable laugh. Lisa’s dress and both of Lucas’ outfits are borrowed from my extensive Studio Wardrobe. 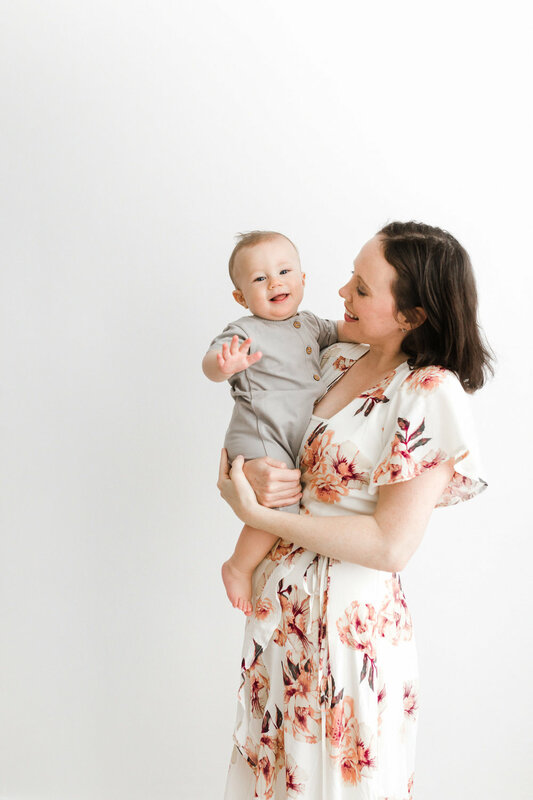 I encourage all of my Simply Baby Session clients to use my studio wardrobe to eliminate some of the cost and stress of finding the perfect outfits to wear. That way, they can just show up and have fun. I have more than 25 dresses in my studio wardrobe to choose from, and their flattering cuts and beautiful, neutral colors photograph beautifully! 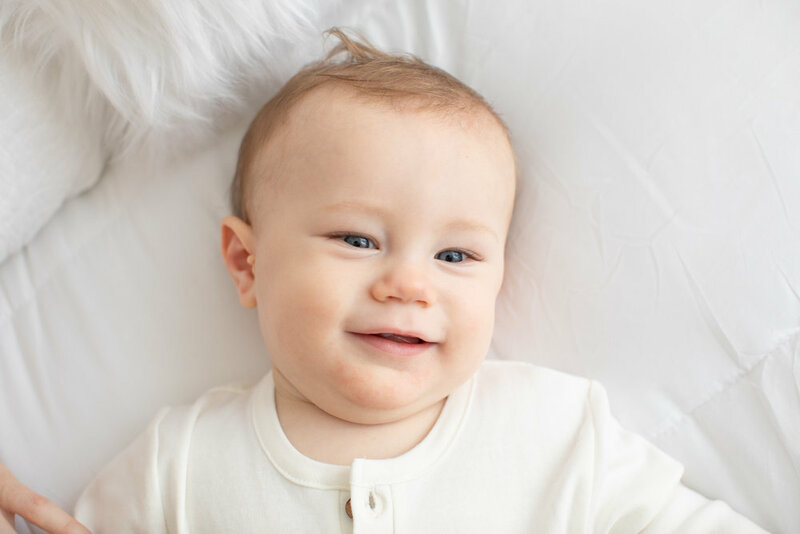 I also have a wide variety of adorable baby outfits, many of which are made of organic cotton in gorgeous whites and creams. These beautiful outfits are gorgeous for portraits, but they aren’t practical for real life because they stain easily and are usually quite expensive. 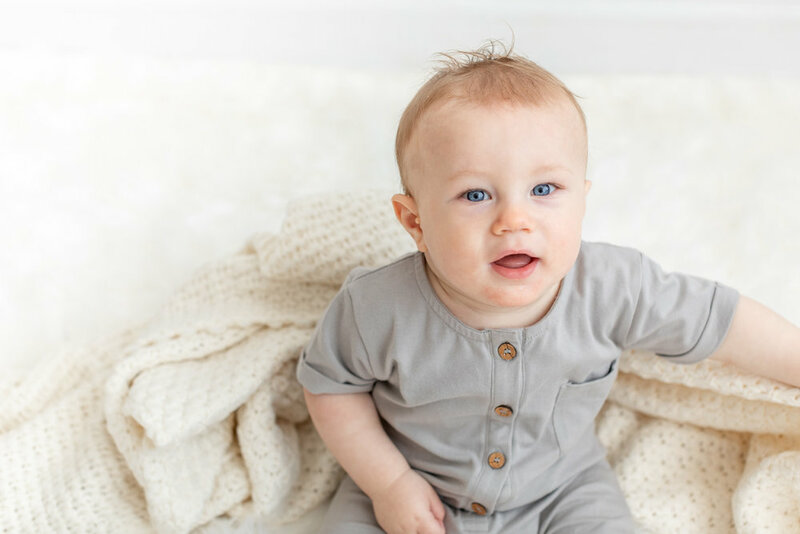 Instead of spending that money on an outfit your baby will wear once, borrow from the Studio Wardrobe and put that money toward your photography budget instead. And to make it even easier for you to prepare for your session, you can add on hair and makeup services with my preferred artist who will come to your home or meet you at my studio!